Those fortunate enough to be in attendance at Pebble Beach managed to catch all the insane whips out there. 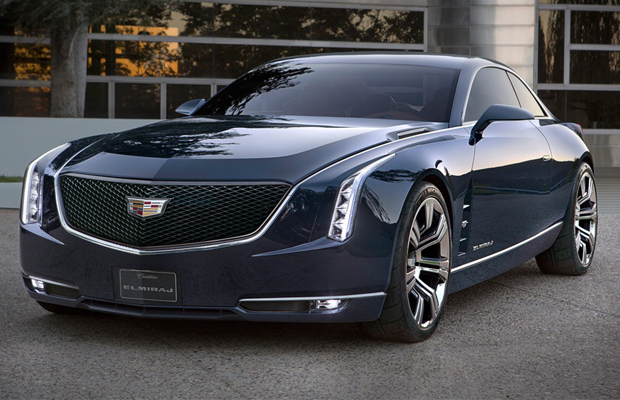 And if there’s one vehicle turning heads at the moment, it’s definitely the Cadillac Elmiraj Concept. The two-door grand coupe looks to be the future flagship Cadillac—boasting a 4.5-liter twin-turbocharged V8 engine capable of turning out 500hp and 500lb-ft of torque. It also carries rear-wheel drive and a 205-inch length frame. The beauty sits comfortable on 22-x-9-inch wheels with ceramic brakes and Cadillac’s patented mono-block calipers. Hot concept.